As always, New Zealand steals the travel thunder with ease! 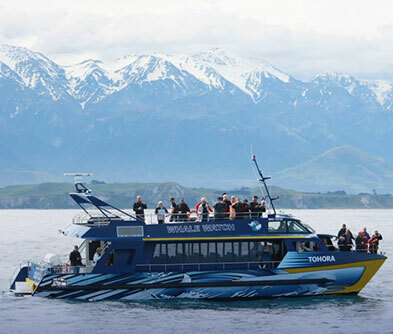 Kaikoura offers year round whale watching with star turns from Giant Sperm Whales, migrating Humpbacks, Pilots, Blue and Southern Right Whales. But the whales aren’t the only ones making a splash. 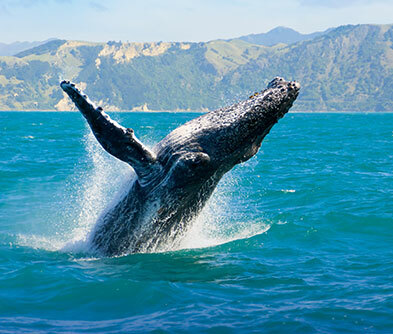 Swim side by side with seals and dolphins or even take a Kayak ride out into the ocean for closer views. 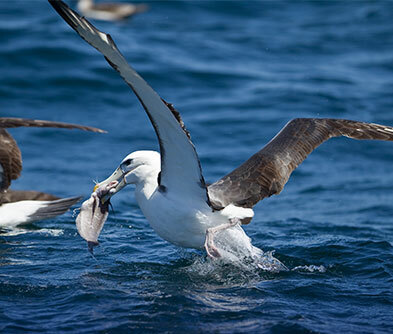 For avid avian fans, it’s your date with the mighty Albatross. If you’re the type who doesn’t like to sit still, lace up and take a hike! There are many walking tracks with stunning vistas, accompanied by clear skies and endless sea views. Don’t leave the place without tasting the cuisine. The word ‘Kaikoura’ translates from Maori as ‘meal of crayfish’, so ordering crayfish for dinner is essential for an authentic Kaikoura experience!